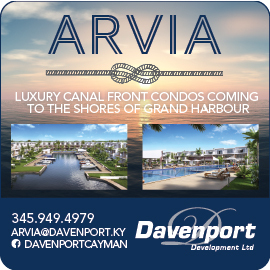 Located on the canal front at Grand Harbour, Periwinkle is a pioneering residential development leading the way in sustainable living on Grand Cayman. 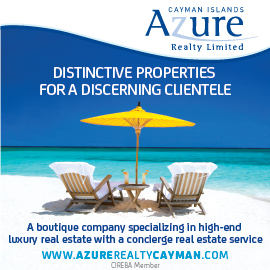 Pairing Cayman-style architecture with contemporary aesthetics, the homes will sit in beautifully landscaped grounds offering residents a wealth of recreational facilities and the ability to engage in all manner of outdoor activities. Inspired by the close-knit communities of past generations, Periwinkle was conceived as a place where residents can feel connected to their neighbours, where children can play together outdoors and adults socialise at the end of the day. 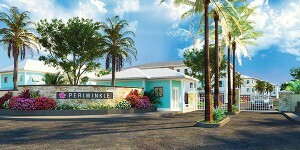 Owners at Periwinkle don’t buy a home, they buy a lifestyle. 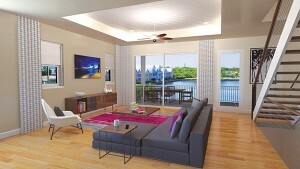 Situated on the waterfront, the nine-acre area has striking views over the canal. The development will comprise of 20 Cottages, 28 Courtyard Townhomes, 23 Waterfront Townhomes and 10 Luxury Villas, known as The Point. 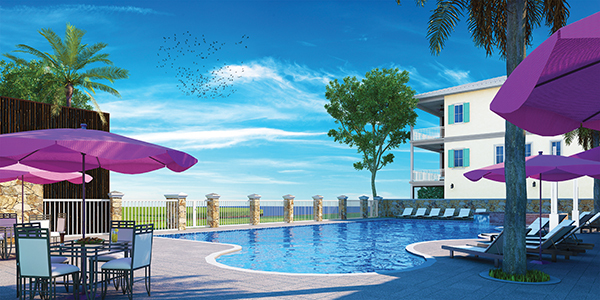 All houses will be built with modern Caymanian design in mind and the first phase is set to be completed by fall 2018. 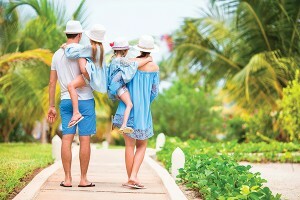 The Cottages are ideal for couples and small families, with a private garage, a Cayman-style terrace and open plan living. There are three sizes of two storey Cottages to choose from with two bedrooms at 2,200 sq ft, three bedrooms at 2,400 sq ft and three larger bedroom options available at 2,600 sq ft.
Spanning three floors, the Courtyard Townhomes provide extensive family living space and are available in two different floor space sizes with three and four bedrooms at 3,200 sq ft or three, four or five bedrooms at 3,600 sq ft. 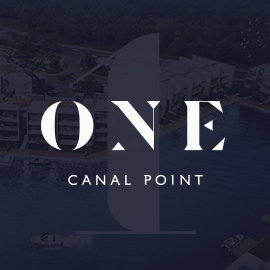 Located 30 feet from the private dock, with large balconies and exceptional views, there are two sizes of Waterfront Townhomes available, with three, four and five bedrooms at 3,600 sq ft and three, four or five bedroom properties at 4,100 sq ft. The careful design, choice of materials and use of renewable energies add up to unparalleled environmental sensitivity and low utility costs. The entire community is designed to LEED certification standards and is the first of this type to be available in Cayman. Homes are built with highly durable, insulating ICF blocks, fitted with low flow plumbing fixtures, Energy Star-rated appliances and every home runs on solar power. The landscaping at Periwinkle uses local, drought-tolerant plants, as well as non-toxic paints. The development is also implementing a community farmers’ market field-to-table programme, making it easy for residents to purchase local, organic produce. Periwinkle’s homeowners will be connected through shared amenities, including a 60 foot swimming pool, club house, BBQ area and outdoor kitchen, jacuzzi, kids wet zone, paddle boards, kayaks, open green spaces, as well as walking and running paths. With the location just a few minutes away from the Grand Harbour shopping centre, residents can easily leave the car behind when heading to the shops, or going out for dinner locally. Ground has been broken and construction is now in the hands of acclaimed local construction firm Arch and Godfrey. Phase I is due to be completed by fall 2018 and a new sales office allows interested parties to visit the site, view the progress of the project and examine some of the options for finishes.